Loved and respected across the country, our master instructors past and present. Fode Moussa “Lavia” Camara, exemplifies the new generation in the preservation of West African traditions and the influence of these traditions on the world. Camara honors his family through his artistic expression of Guinea’s musical traditions. His musical talent was discovered by the age of five, at which time he began his formal training learning all instruments of the djembe orchestra. Early in his training Fode claimed leading roles and featured artist status in a myriad of local productions. In 1998 Camara was recruited as the lead drummer and musical director of the National Circus of Guinea, an international touring ensemble. His affiliation with the circus was interrupted when, after an international search, Camara was recruited to Senegal’s Ballet D’Afrique Noire. Fode began a United States, 32 city tour with the ballet as lead drummer of the widely acclaimed Mandinka Epic, a dance theater production that told the history of the Mali Empire. 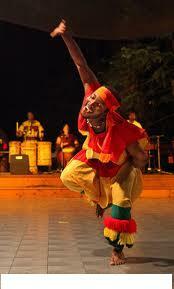 In high demand, Camara tours extensively as an instructor, choreographer and performing artist. Mariatou Camara was born in Guinea, West Africa. Her exceptional abilities were recognized at a very young age and she spent several years performing with the highly acclaimed dance company, Les Merveilles d'Afrique. She would eventually become one of the lead dancers for Les Ballets Africains, under the direction of Italo Zambo and Kemoko Sano. In the words of Mr. Sano, "People wait to see Mariatou every time she performs. Her flexible body, natural talent and "gazelle-like" abilities are her biggest assets. In every performance she always brings joy to her audiences." Mariatou lives in Oakland, CA and travels extensively as an instructor and guest artist. Djeli Moussa Diabate has been one of the finest dancers with the National Ballets of Guinea (Africa) and was artistic director for National Ballet Silimbo of Senegal for many years. He is a master dancer, drummer and musician and has toured Africa, Europe, Asia and the U.S.A. He also performed on Broadway (New York City), at Yale Repertory Theater and at Brooklyn Academy of Music. Moussa is the son of the Chief of the Djelis, El Hadj Komba Ansou Diabate of Conakry, Guinea in West Africa. El Hadj Komba Ansou Diabate for more than 35 years was a founding member of the National Instrumental Ensemble and composer of the Guinea National Anthem. Moussa is also a Griot from the great lineage of the Diabate Family from the Malinke people of Guinea, West Africa. Moussa was taught the dance, music, storytelling, history and mythology of West Africa by his father, Komba Ansou Diabate, the “ Great Griot of Guinea”, and his mother, one of the first premiere dancer with Les Ballets Africains. 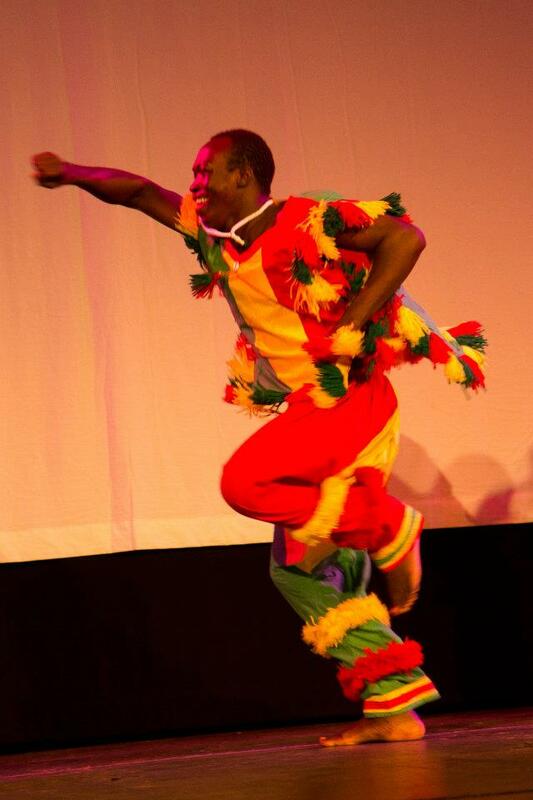 Moussa has trained and toured with the National Ballet Djoliba and the National Theatre of Dakar’s Ballet Silimbo. A former lead dancer for the Troupe Federale de Conakry III National Ballet of Guinea, Moussa has been a dancer all his life. Moussa came to the United States teaching traditional performing arts and worked on Broadway in George C. Wolfe’s production of The Tempest and worked as assistant choreographer and consultant for Savion Glover's hit show, “Bring in Da Noise, Bring in Da Funk.” His life and membership with the great ballets of Guinea, such as Les Ballet Africain has made him one of the most respected teachers in the world. Since 1987 Mr. Diabate has choreographed, performed, lectured and taught extensively in the U.S., Japan, France and West Africa. 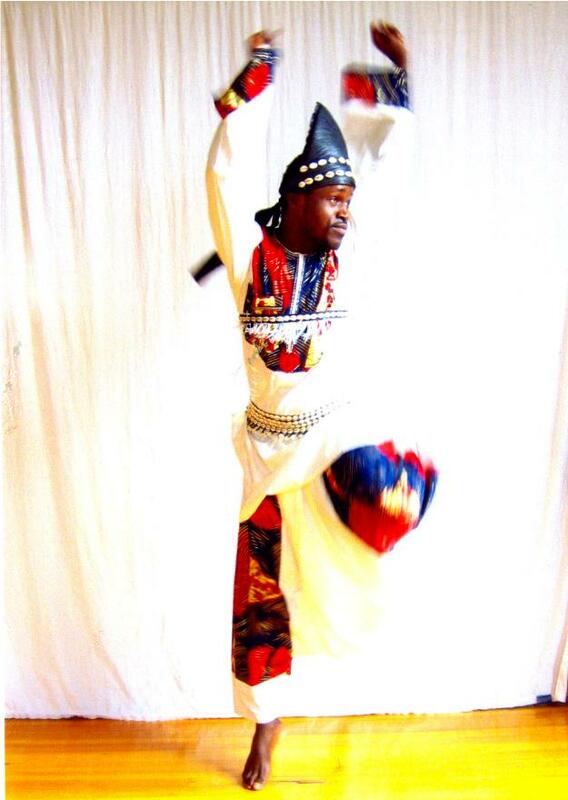 He is the founder and artistic director of Djely Kunda West African Dance Company. Moussa currently maintains residency in Dallas, Texas. A Djeli, is a messenger of the African tradition. He or she is a historian, a teacher, and adviser and sometimes a healer, who strongly influences African Arts and Culture. As the author "Amadou Hampate Ba" wrote: "when a Djeli is dying, it's like a library is burning." Born in Bamako, Mali, Djeneba Sako began her journey with dance and music at the young age of 5. She started dancing professionally at age 11 with the Bienal District Troupe. She danced with them for eight years, during which time they won the National biannual Dance Competition four times in a row. From there she went to the District of Bamako troupe, representing the city of Bamako, where she danced for eight years. With this group she traveled to Paris for the Paris International Dance Festival, which featured the best of ethnic dance from all over the world. She then joined the renowned traditional dance group Troupe Komi Djosse. The troupe disbanded after two years, after which she joined the Troupe Kantis featuring renowned djembefola Mamadou Kante. She has also worked with such artists as Djenebah Seck, Nanou Koul, Abdoulaye Diabate, Molubaly Traore, and Karim Coulibaly. Djeneba has also taught students who come to Mali from all over the world to learn with her. She is well known as one of the best dancers of traditional and modern Malian forms in Mali and the United States. She is one of only three Malian dance teachers here in the US, of which she is the only woman. Alongside her work at the University, she is often traveling and teaching at conferences around the states, sharing the culture of Mali through music, song, and dance. Rachel Eckroth, although born in Stockholm, Sweden, is a Houstonian at heart. A trained gymnast who got a late start in dancing at the age of 28 and she can't stop. Rachel says she will literally dance anywhere. And she pretty much has danced for everyone in Houston including: MEDIA, Second Generation, Exclamation, The Ensemble Theater, and she can be seen annually in the Motown Review at the Miller Outdoor Theater. Best described by one word; free. Rachel counts her children, Prince, water and avocadoes among her favorite things. Recently appointed Associate Artistic Director of Urban Souls Dance Company, Rachel continues to nourish her life in dance. salsa, samba, mambo and batchata. An accomplished designer and visual artist, Deanna s artistic talents make her a welcomed addition to KoumanKele African Dance & Drum Ensemble. Kissidugu and Guinea’s capital city, Conakry. 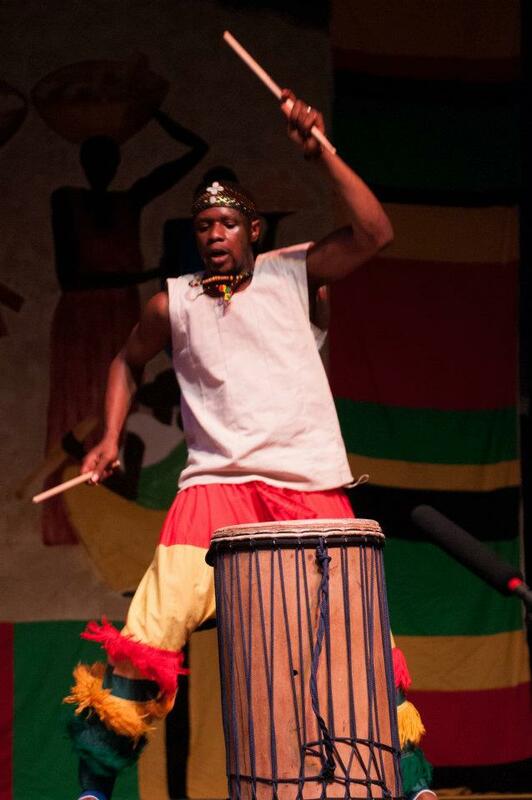 Playing djembe since the age of nine, he has traveled extensively performing and teaching both drumming and dance. Fara spent nine years as the lead drummer for Les Merveilles de Guinea (The Wonders of Guinea) under the tutelage of West Africa’s most influential director and choreographer, Kemoko Sano. Fara is a keeper of the history, the music, and the dance in his culture. He holds a vision to provide a sustainable way to ensure that the knowledge of the music, dance, and history of Guinea will be passed on to the next generation. Kalunga N'Golo is a non-profit 501(c)(3) cultural group available to share Capoeira Angola in classes with children and adults, or in community events. The group has been active for close to a decade, participating in programs with the Houston Area Women's Center, the Houston International Festival, and actively teaching under the 21st Century After School Enrichment Programs throughout Houston ISD. 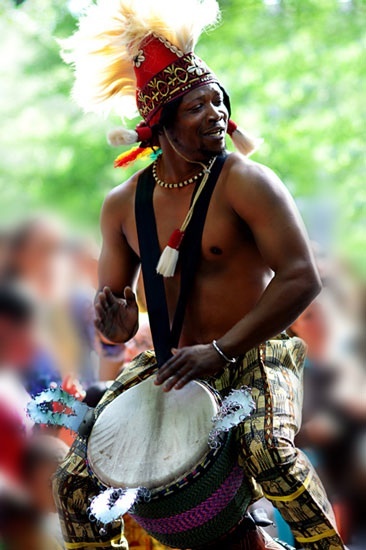 A native of Guinea, West Africa, Naby Bangoura grew up dancing. He traveled and performedwith Les Ballets Merveilles for many years before coming to America. In New York, he taught at the Djoniba School, as well as at the Abized School. He hasalso taught at the Jewish Community Center of Houston, Texas and the DanceGallery in Santa Cruz, California. Currently he teaches West African Guinean dance at San Francisco’s prestigious ODC dance studio as well as other reputable Bay Area dance studios. Mamady Sano is a dynamic performing artist from the country of Guinea, West Africa. Born into an artistic family, he is the son of the world renowned choreographer of Les Ballets Africains, Mohamed Kemoko Sano. Mamady’s natural talent as a dancer was recognized early on. As a young boy, he often performed with his brothers and friends, and quickly became known as the top dancer in his region. He began performing with Les Merveilles D'Afrique African Dance Troupe, a highly acclaimed, internationally recognized performance ensemble under the Artistic Direction of his father. He spent several years traveling throughout the world with Merveilles D’Afrique. In 1998, Mamady was invited to come to the United States to teach and perform. A resident of the USA for the past thirteen years, Mamady teaches workshops, clinics, and master classes, as well as performs as a guest artist, throughout the world. He has been a member of the faculty at the prestigious Alvin Ailey School/Ailey Extension, where he taught Guinean djembe dance. He lives as well as teaches in New York City. Abou was born into a family of musicians in Conakry, Guinea in West Africa. Abou’s musical career began at the age of five when his uncle gave him a djembe. 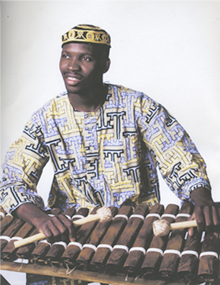 As a child, Abou moved from Conakry to a village where he began his study of the balafon. He lived, studied and performed with his balafon teacher until he was nineteen, at which time he moved back to Conakry to perform with his family, as well as other musicians. After returning to Conakry, Abou was invited to join Les Ballets Africains, the prestigious national dance company of Guinea. For six years he performed with them, playing not one, but five instruments – the balafon, djembe, krin, doundoun and bote. Vieux Traore is a master djembefola/dununfola and experienced drum teacher from Bamako, Mali in West Africa. Vieux has been immersed in music his entire life and was inspired to pursue music at a young age by his father, who played the n'goni instrument. Vieux started dancing and drumming at the age of nine under the tutelage of his esteemed teacher, Madou \Komando" Traore. He trained in both traditional and modern rhythms from Mali and was a member of several professional troupes in Mali, including Troupe Sewa, Troupe Districte de Bamako, and the renowned group, Babemba. While in Bamako, Vieux was sought out to play for traditional ceremonies such as weddings, baptisms, and other important events an occasions. In addition, he has played with the likes of Oumou Sangare, Mama Toumani Koni, Lobi Traore, Seydou Camara and Tatama Kone. 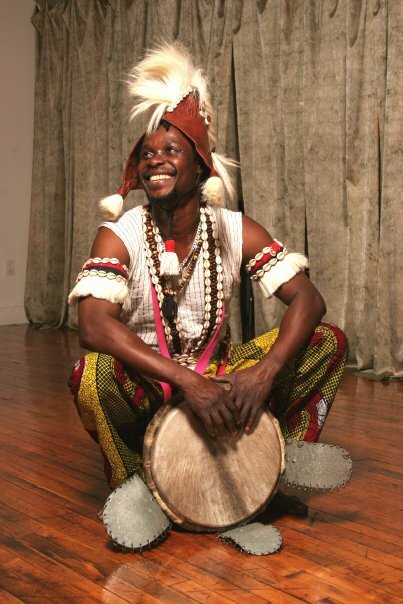 Vieux arrived to Denver in December 2011 and has been teaching djembe and dunun classes, playing for African dance classes in Denver and Boulder, as well as playing for traditional ceremonies in the Malian community and other community events in Colorado. Over the past year, has played with the Otis Taylor Band in and around Denver, and most recently at the Telluride Blues and Brews festival. Souleymane Solo Sana is an accomplished traditional dancer from Mali, West Africa. A principal member for one of the premiere companies of Mali, Ballet Du District de Bamako, he has proven himself as a leader among the artists. Solo's presence at local ceremonies and festivals is in high demand, performing with renown griots and musicians. He has also performed with internationally known artists such as Djeneba Seck and Oumou Sangare. With an extensive knowledge of traditional dances of the Mande culture he is has become a highly sought after instructor for private and group lessons. Solo has taught students from France, Italy, US, Japan, Germany, Switzerland, Morocco, and other countries of Africa. Most notable he has instructed internationally acclaimed dancers from the United States that include university instructors and Broadway performers. He is currently in the US performing, teaching workshops and leading school residencies for Jeh Kulu Dance in Drum Theater, at the University of Vermont as well as independently. In 2012 he was a featured Artist in Residence at UNC-Greensboro creating original choreography for Robin Gee's Sugarfoote Productions. Recently he has participated in a cultural exchange in Liberia working with local artists who are reviving their music and dance scene after more than a decade of struggle due to a 13 year civil war. He is looking forward to making his choreographic premiere in New York City in the Spring of 2014. Ismael Kouyate was born in Guinea, West Africa to a long line of 'Griots', the oral historians that preserve the history and culture of Africa through songs, stories, music and dance. 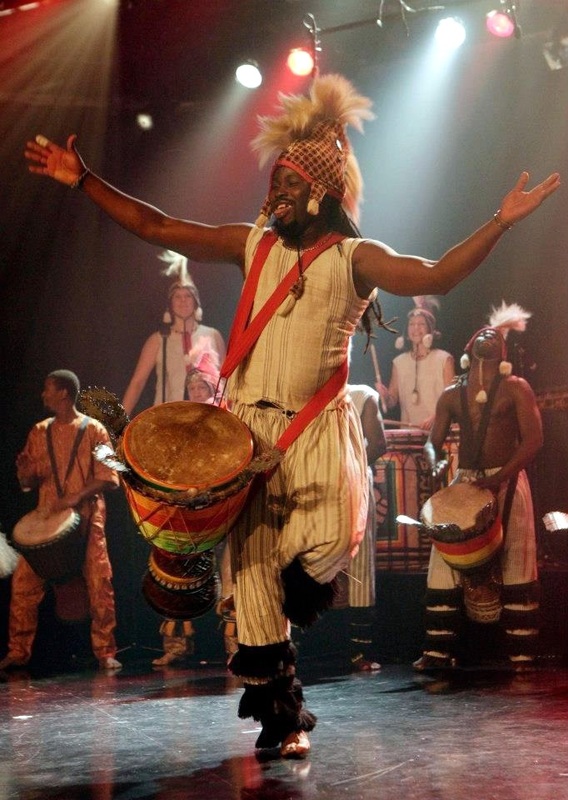 He began dancing professionally at the age of 12, when he was recruited by Les Percussions de Guinee' to perform in their international tour, which included Europe and Asia. 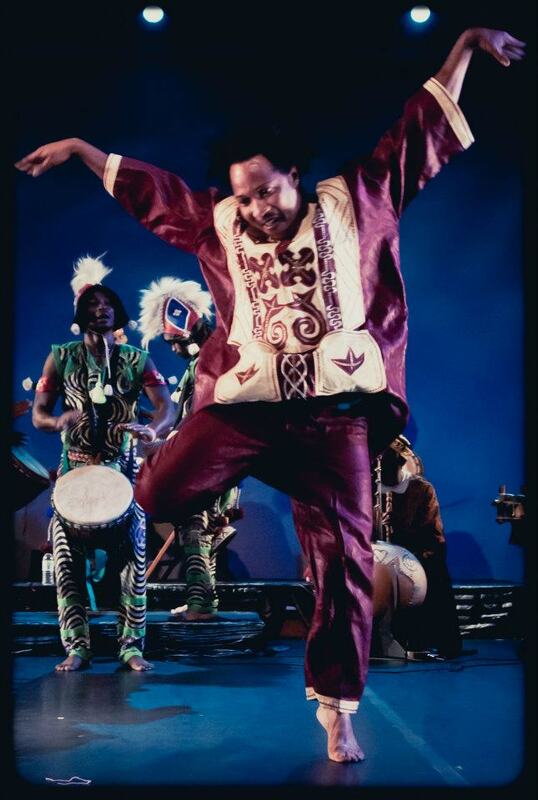 Upon his return in 2004, he was requested to join Ballets Africains *(The National Dance Company of Guinea, see below) for their 50th Anniversary Tour of the US, Jubilee! He amazed audiences throughout the US on the tour and was contracted by the team of Fela! to serve as a Master Choreographer for the production. His talent and skills landed him a principle role in the play, if you've ever seen it, Fela says, “Hey Ismaela” and he begins a full litany of movement, dance and spirit that sends audiences to their feet nightly. He has been with Fela! Since 2008, from its humble off-Broadway roots, to its international tours which included a series of performances in 2011 in Nigeria, at the actual “Shrine”. The production was such a hit, that due to the overwhelming response of the Nigerian community, they were asked to stay an additional two weeks, performing to sold-out audiences nightly. Also in 2011, Ismael was sought out to do a special on CNN about Africa in America. His class of over 100 people ecstatically learned and modeled his movements, while speaking of their excitement to study from this legend of Guinea, many of whom had heard of him in their travels abroad. In 2013, he is not only wrapping up the final tour of Fela! He has also been in the studio with Beyonce, adding his amazing vocals to her current hit, “Grown Woman”, the single that is featured on her new Pepsi commercial. Ismael is available as an individual performer or with his band, Waraba or his West African Dance Company, African Soul International. Since immigrating to America in 2007, Vivien has taught at several conferences, and choreographed and performed in several festivals in San Fransisco and the Bay Area. 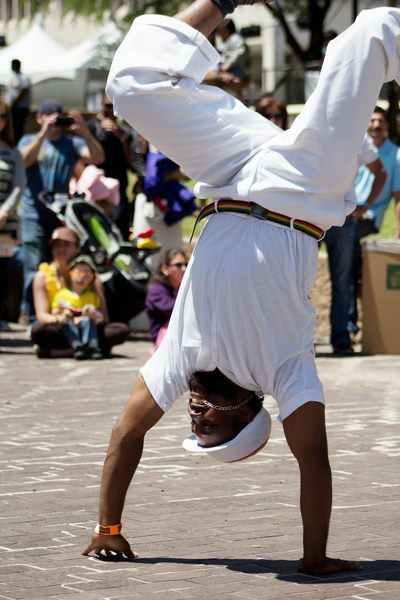 He teaches traditional Congolese dance in Santa Cruz, California and the Bay Area. 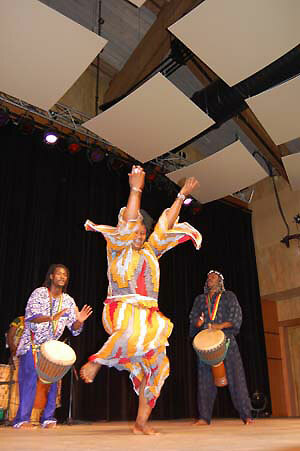 Vivien’s style is Contemporary Nangama Congolese dance. Nangama is a spiritual dance in which you are connected to and become part of nature, through emotional, gestural expression and movement. 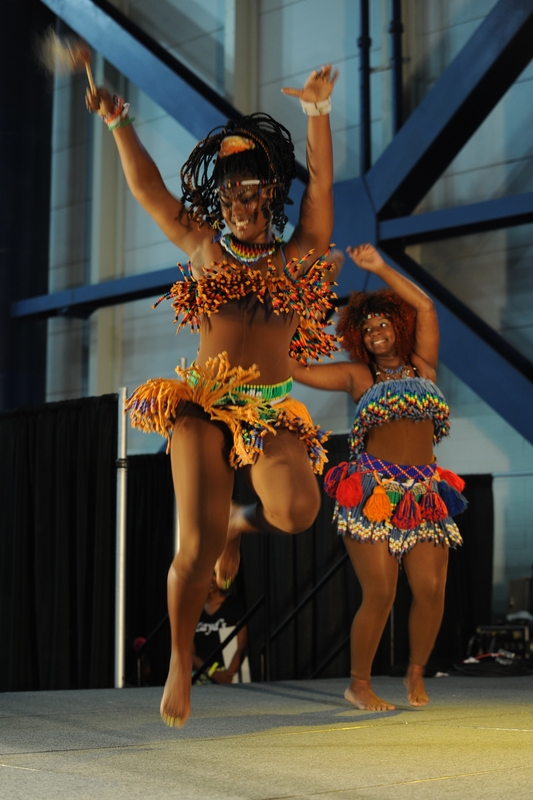 The foundation of the Nangama style of dance, is Traditional Congolese, which it combines with Modern dance. Since beginning Modern dance in 1997 Vivien started seeing that dance was in everything that moves and does not move, in life, from trees to babies; he is a people and nature watcher, and is intrigued by everything! He studies dogs, babies, the way the branches hang from a tree, people walking or simply sitting or relaxing, the sun, the moon, fire, water; all energy. He studied the ocean for hours: each wave twisting and turning in a different movement. He studied trees, their strength, grace and subtle motion. and if he watched and waited for long enough he could find its breath in his own body. Vivien slept, ate and dreamed dance. Each class he studied, whether Contemporary, Traditional, Hip Hop, Break dance, Ballet, Caperiota, Jazz, Street dance, Modern, Lyrical or Yoga, he found each carried it’s own life inside. Master drummer Jorge Alabê grew up in Rio de Janeiro immersed in the rich musical culture of Brazil, becoming a master in samba percussion as well as in the Afro-Brazilian religious tradition of candomblé. He is an “Alabê” connected with the oldest candomblé house established in Brazil, Casa Branca; the title of “Alabê” means that he has obtained the highest level in drumming and leading of rituals in the candomblé religion and signifies deep experience and authority. 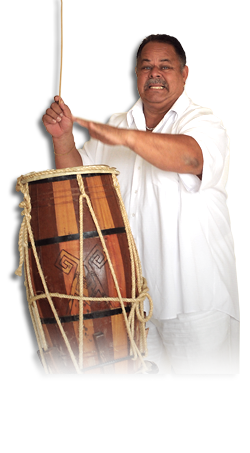 Jorge played percussion with the highest level samba groups in Rio and was the rhythm director of Minas Gerais Samba School in Belo Horizonte, Brazil. He has performed in recordings with Brazilian stars Milton Nascimento and Martinho da Vila and appeared on Globo TV in Brazil during 1978–1980 on the entertainment program Brasil Pandeiro. He went on to become percussion director of the internationally known Brazilian performing group Oba Oba in 1980. During 15 years working with Oba Oba, Jorge toured with the group through Europe, Asia, South America, and the United States, including three runs at the Marquis Theater on Broadway in New York. Since 1993, Jorge has conducted workshops on samba and candomblé in the U.S. Jorge moved to New Orleans in 1996, where he presented a series of workshops on traditional Afro-Brazilian religious drumming and dance, gave workshops in Brazilian rhythms at local universities (Tulane, Loyola, Southern universities, and various elementary schools), and worked with community organizations during Black History month. During his time in New Orleans, he worked closely with the cultural group Casa Samba, under the direction of Curtis Pierre, and built the musical and performance skills of the group, including artistic direction of their yearly participation in Mardi Gras and the New Orleans Jazz Festival and their performances throughout the year. In addition, he worked on the development of an after-school cultural arts program at Eden Park Elementary School in Baton Rouge, Louisiana, and for four years, 1995–1999, taught Afro-Brazilian culture for the New Orleans Recreation Department’s Teen Camp summer program, with Young Audiences, and was honored by the mayor of New Orleans for his contributions. Currently, Jorge is based in the San Francisco area and directs the samba group Grupo Samba Rio. He is developing musical and educational projects locally, while continuing to travel throughout the U.S. to perform and conduct workshops. Mito was born in Conakry, Guinea in 1976. 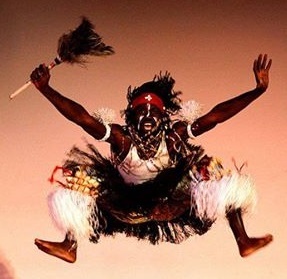 In 1989, Kemeko Sano, Artistic Director of the world famous national ballet of Guinea, Les Ballet Africains, witnessed Mito's explosive and precise drum style at a local performance and his only comment was, "We need him." In a land of dynamic drummers and performers, this statement was more than a compliment and a blessing, it was an honor. With this undeniable invitation from the Ballet, Mito was soon on his way. At age 15, Mr Camara held Ballet Africains 1st accompaniment chair for a few years until he was eagerly promoted to lead soloist chair, of which he held for an additional 6 years. Touring all over the world for 11 years, Mito looks back fondly at his time with the Ballet. "You sing, you dance, you drum, you learn about others traditions and languages, you learn everything in the Ballet." 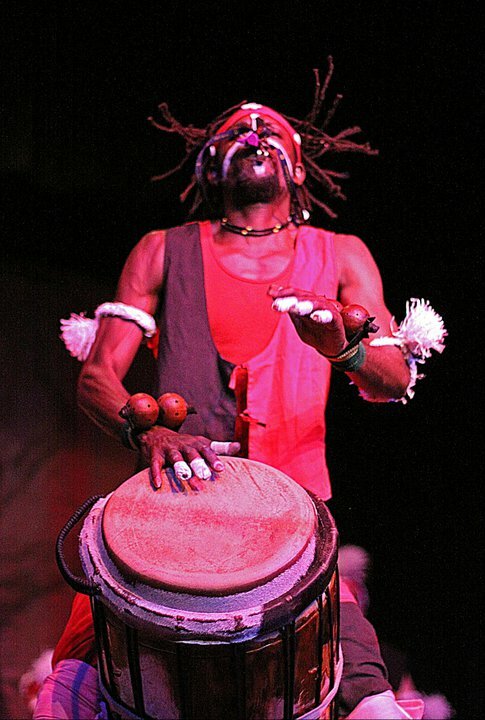 Today, Lewis Segal of the Los Angeles Times said, "Among featured musicians, Mamadouba Mito Camara embodies djembe virility."